BosBee Quilting: Good Easter Morn! I hope everyone is having a happy and blessed Easter. I am having family over later this afternoon. My son and his son are milk truck drivers and just like the farmers they serve, they must work seven days a week. I grew up in that environment, being a dairy farmer's daughter. Holidays were always celebrated but they were worked in between the milking schedule and the feeding chores. Sometimes I felt deprived of a "normal" childhood, but then I got out into the world and realized that no one ever thinks they had a normal childhood so what the heck. What I do know is that we had great family times and family and faith were the main theme. So here's to normal! Yipee! I got him done just in time to display for one day. I give you Easter Bunny, late but still so cute! 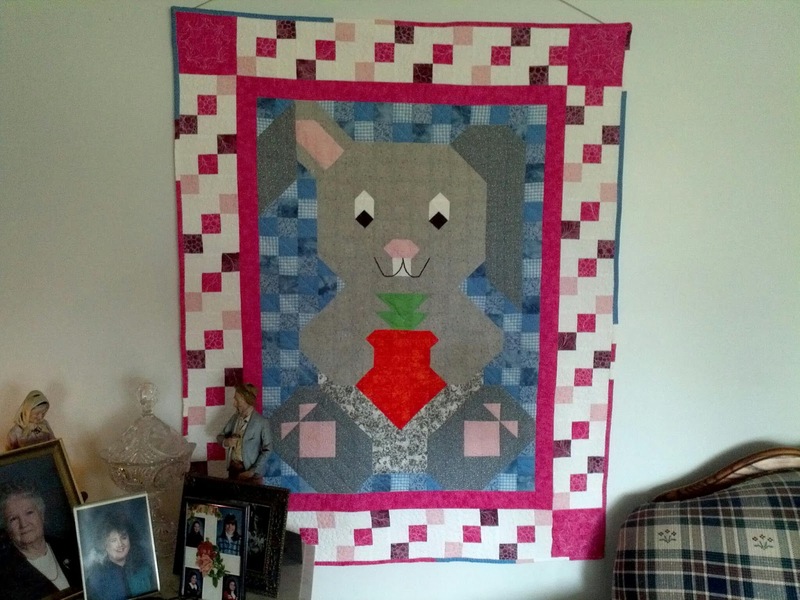 Happy Easter everyone and Keep Quilting! So sweet! My grandchildren would love this one. I grew up as a townie and always felt my country farm cousins had the normal life! Very, very cute! Glad you got it done in time for Easter !